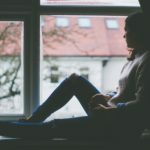 I’ve been a stay at home mom now for about three years and there are definitely some things I’ve learned along the way. *This post may contain affiliate links which means if you click on them and make a purchase, I may earn a small commission. This in no way affects what I am recommending and only recommend products and/or companies I believe in and love. 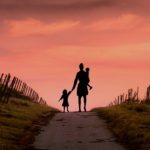 When I left my career to become a stay at home mom, I had no clue what I was getting myself into. It is very different than the corporate world, that’s for sure. After my first baby was born, I went back to work for a year but then just couldn’t stand to be away from her any longer. I hated the fact that someone else was raising my baby and I did everything possible to stay home with her. I really can’t complain about those first two years with her. She was an incredibly easy, mellow baby and I truly enjoyed the one-on-one time I got to spend with her. I wouldn’t trade it for the world. 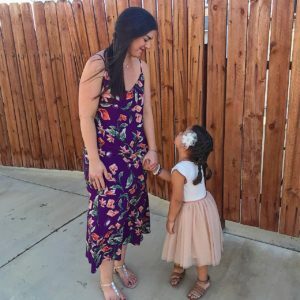 Once I was ready to start looking for a job, I became pregnant with our second daughter. So, my return to work was pushed back once again. I was okay with this and was excited to welcome our second daughter to the family. 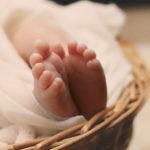 I learned quickly though that life at home with a toddler and a baby was MUCH different than being with just a toddler. 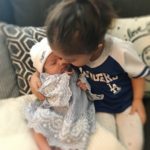 If you’ve read my post, What I Wish I Knew About Having a Second Child, then you know how I feel. These days are tough! My littlest one is the kind of baby that gets into everything, puts everything in her mouth, is crawling and almost walking already (and she’s not even ten months yet). She’s that baby you can’t take your eyes off of for a second. 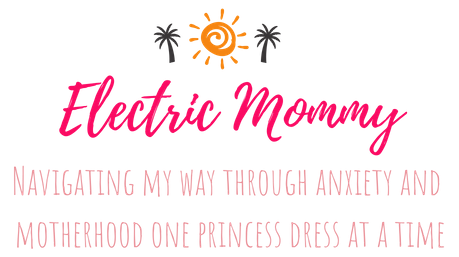 Over the last three and a half years that I’ve been a stay at home mom, I’ve learned some things that make the day a little easier. 1. 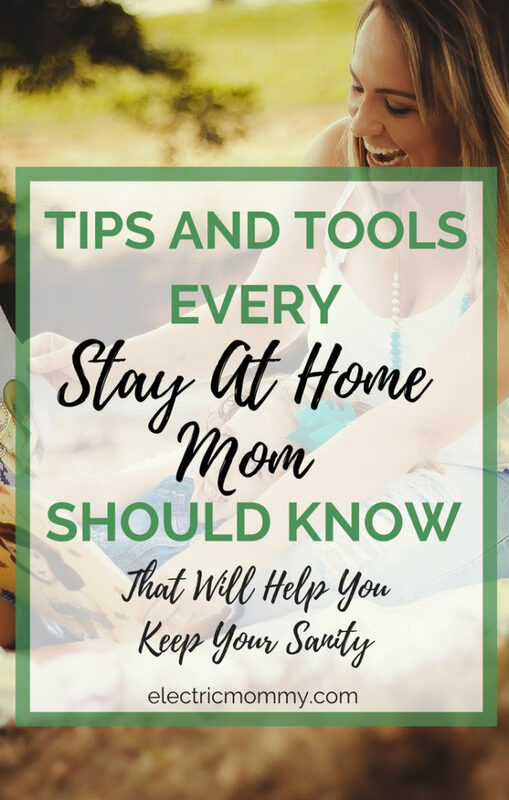 PICKING UP THROUGHOUT THE DAY: I have read a lot of other mom blog’s with many mom’s stressing the importance of quality time with your kids over cleaning the house all day. Now, I don’t 100% agree with this. I think there is absolutely a way you can balance both and get both done without sacrificing the other. I am constantly putting things away or cleaning up right after a mess is made and still feel like I have enough time to spend with my girls. This helps me tremendously. 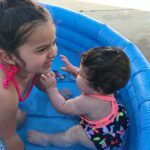 I feel like I’m able to enjoy my time more with my girls when I am not sitting there stressing over all the cleaning that needs to be done. I’m not talking about mopping the floors or dusting or any kind of deep cleaning. I just mean picking up the house and keeping up with the stuff in the kitchen. It makes a huge difference rather than leaving it all for the end of the day. 2. AMAZON PRIME: If you are a mom and don’t use Amazon, I’m not sure how you are surviving. As much as I love to get out of the house, some days it’s just not that easy with a toddler and a baby. It feels like it takes longer to load and unload the kids from the car than it is to actually get the shopping done. Bottom line is that Amazon is just one tool that makes my life a little easier. 3. 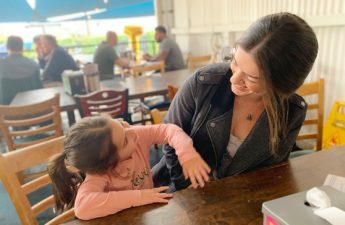 MAKE TIME FOR YOUR SELF: This one is really hard for me just as I’m sure it’s hard for many moms. It feels like there’s just not enough time in the day to dedicate any of it to myself. However, when I do make it happen and take even fifteen minutes just for me, it makes a huge difference. Of course, this usually has to happen when my husband comes home or if the girls take a nap at the same time, but I feel so much better when I’m able to really cut out a few minutes just for myself. 4. GET OUT OF THE HOUSE: By get out of the house, I don’t mean you have to do anything crazy or expensive. For me, even playing in our tiny backyard in a small inflatable pool is getting out of the house. I notice that when I make a regular habit of going outside with the girls, all of us are generally much happier. It’s usually just a walk through the neighborhood, a trip to the park right around the corner or playing in the backyard. I try to keep it low stress and something that I can look forward to as well. 5. INSTACART: This one kind of goes hand in hand with what I said about Amazon Prime. Sometimes, it’s just easier to have things delivered than packing up everyone (and everything) in the car. Right after my second baby was born and I was still recovering from a C-section, Instacart came in handy and I have to admit, I kind of fell in love with it. One of my biggest concerns though was produce and how well the person would pick it. I am very picky when it comes to my produce being fresh so that kept me from trying the service for a long time. One day though, it was just the easier option. I have now ordered from them five different times and I’ve had a good experience every time. On one order, they did forget an item, but other than that, it’s been amazing. Even the the produce they pick has been better than what I would pick myself. Plus, the user experience is really nice. You can see while the person is shopping and if they can’t find something or they need to replace what you ordered with something else, it alerts you and let’s you either approve the change, cancel it or request something else. Then, it lets you know that the driver is on their way and gives you a live map so you can see where they’re at. I love it! However, the fees do add up which is why I don’t use it all the time. It just comes in handy for those days where you really need it. If you sign up through my link here, you will get $10 off your first order! 6. QUIET TIME AND/OR KIDS NAPPING AT THE SAME TIME: Probably one of the hardest things I had to adjust to as a stay at home mom was the constant noise. I know that might sound strange but to have a tiny human talking to you non-stop gets a little intense, especially when the baby is crying at the same time. Let’s just say, I have never appreciated silence more in my life. I make a HUGE effort to try and get some “quiet” time throughout the day. 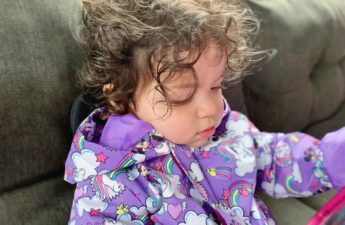 I break it up into two different parts of the day which comes from having a consistent routine for both my baby and toddler. My baby usually takes a nap from 8:30-10:00am in the morning. During her nap, this is quiet time for my toddler. She is allowed to watch a movie, play on her iPad or play with books but it has to be something quiet. Most of the time, she plays with toys while I clean up from the morning messes. Then, I lay with her on the couch and read a book while she watches something on her iPad. It is a very nice little break. When it happens though, and I can get some work done or take a quick nap, I feel so much better and more prepared for the afternoon. 7. COFFEE: Before I became a mom, I didn’t drink coffee. At all. Now, I can’t imagine living without it. It’s become a small thing I look forward to in my day. Even if it’s something else other than coffee for you, like some wine at the end of the day, try to have some things in your day that you look forward to, no matter how small they may seem. These are just a few things that really help me get through the long days. Being a stay at home mom is hard. 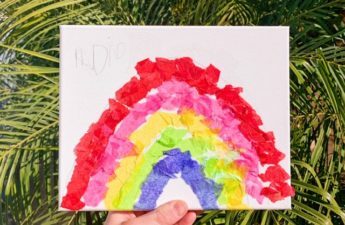 I think we just need to remember that this part of our life will end at some point and to try everything possible to enjoy the time we have right now with our little ones. They won’t be these ages forever. What’s the main thing that gets you through your day as a stay at home mom? 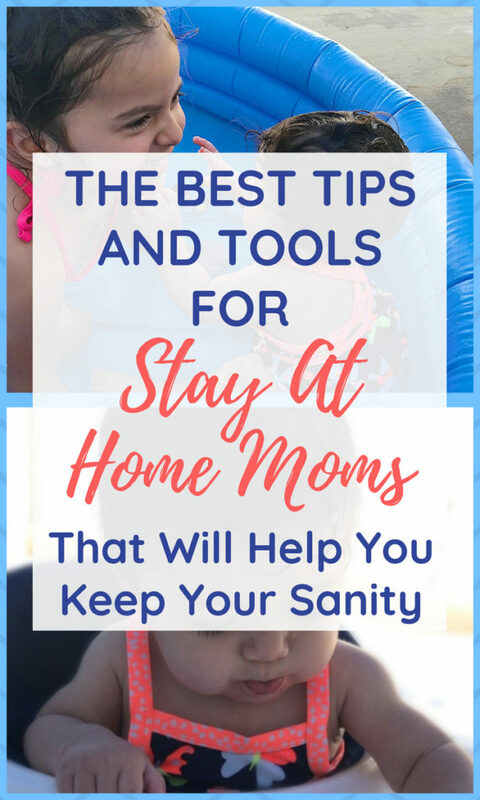 I am not a stay at home mom, but these tips are helpful for me as well. I’m not familiar with Instacart. But I think I will give them a try. I am totally with you on packing everyone up and getting groceries. It takes a lot of work! I usually use the Wal-Mart grocery app to order my groceries and then pick them up at a specified time. This saves the trouble of walking through the aisle and risking a tantrum because they see a toy and I say no. The only thing is I do have to unload the car when I pick up the groceries. This post has some great tips. I am glad I stopped by. I love your list! These are all so true. I actually thought your post was on “lifesaving” tips. Lol But I get it now… these are total lifesavers too! I wish I had Amazon when my kids were little. It would have been a lifesaver. Such a great tip to rest when your child rests. I did this every day. Right? If you can nap when your kids do, it makes SUCH a difference. Then again, I am someone who loves and needs my sleep. 🙂 Thank you so much for reading and sharing your comment! Yes to so many of these! Getting out of the house is numero uno for me, we need that outdoor time so much! Also, tidying up here and there helps me not feel overwhelmed at the end of the day! Yes! I totally feel like getting out of the house helps the day go by a little faster and the kids love it too! So expected this post to be about something else… like cpr and first-aid lol. I agree with every point tho (mommying for nearly 10 yrs now). And coffee===me. I would occasionally have a specialty coffee at a shop or restaurant but after baby #3 I HAD to have coffee most days. Amazon Prime is my biggest lifesaver! Perfect for last minute purchases and no hassle of driving to the store! Isn’t it so easy? It helps so much when you have little ones! oohh love all of these. I’ll have to try out Instacart. You should! I really can’t say anything bad about them. I had a good experience each time and my produce was always fresh. It’s super helpful in those time when you just can’t get to the store very easily. Thank you for the article! I just started staying at home a few months ago and could really use these tips! This is a very helpful post, though I mainly do all these. I have to agree with you about picking up throughout the day, all the kids toys gets overwhelming. Great tips! Thank you so much! I really appreciate you taking the time to read it. And yes! I, personally, feel like it’s a little less overwhelming to just pick up throughout the day.